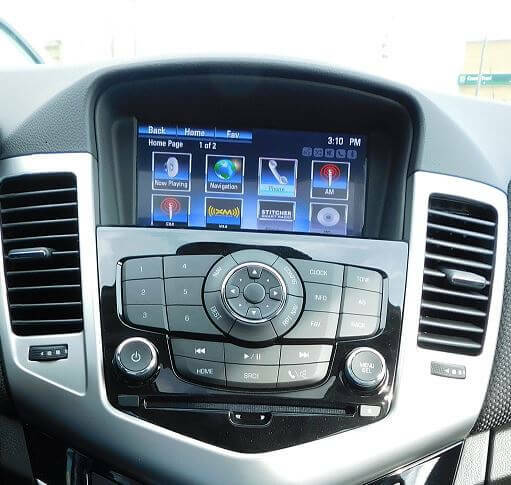 Wallace Chevrolet > Chevrolet > How To: Pair Your Phone With Bluetooth In Chevrolet Cruze! 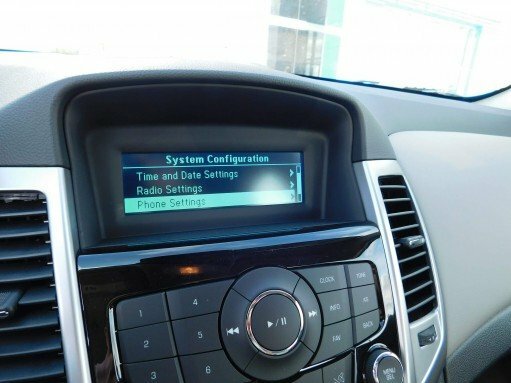 How To: Pair Your Phone With Bluetooth In Chevrolet Cruze! In this example we use a 2015 Chevrolet Cruze Turbo Diesel but the method is similar for all MyLink and non-MyLink equipped 2014-2016 GM vehicles. And it’s super easy! Hit the ‘Phone’ app to start the process! Step 1) Turn on vehicle. Step 2) Use the touchscreen to select ‘Home’–＞’Phone’–＞’­Phone Settings’–＞’Bluetooth’ and ‘Pair’. Step 3) On your phone go to ‘Settings’–＞’Bluetooth’ and make sure it is switched on. Step 5) That’s it! Simply follow the on-screen prompts and you’re all set! Click ‘Config’ and then ‘Phone Settings’ to get started! Step 1) Turn on your radio. Step 3) Choose ‘Phone Settings’, then ‘Bluetooth’, then ‘Pair’. Step 4) Go to your phone settings and switch Bluetooth on. Step 5) Choose ‘My Vehicle’, follow the prompts, and you’re all set!